This post originally appeared on Domainehome.com. Cost doesn’t have to stand in the way of your dream trip. If you’re yearning for a major travel experience on a minor budget, there is no shortage of fabulous destinations out there to choose from. Set your sights on Central and South America, Africa or Asia, and find incredible adventures at prices to please. Here are a few of my favorite places in the world to roam with a slim wallet. 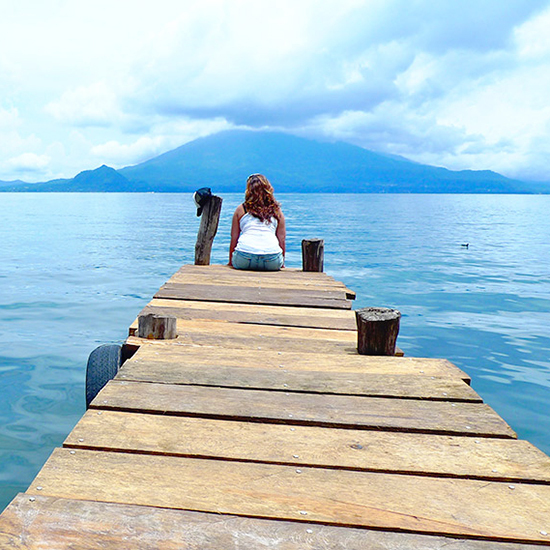 You don’t hear a lot about Guatemala. Tucked beneath Mexico and often overshadowed by more popular (and more expensive) Costa Rica, it’s finally beginning to gain some real traction on the backpacker trail. Picture lush jungles, soaring volcanoes, sparkling lakes, and colorful cities. Fall in love with Lake Atitlan, where small boats whisk you from one secluded lakefront village to another for around $2 a ride. Once you’ve found your slice of paradise, nestle into a rustic water view bungalow starting around just $8 a night. For $12, you can hike to the top of active Pacaya’s cone and roast marshmallows over its smoldering lava rocks. And keep your eye on the horizon from the Terrace’s rooftop bar in Antigua, where tequila shots are only 50 cents while the nearby volcano is erupting! Few countries offer such a diverse range of experiences as Argentina. From the splendor of Iguazu Falls to the majesty of Patagonia, the sophistication of Salta to the stunning landscapes of San Carlos de Bariloche, the bustle of Buenos Aires to the spectacular wine tasting of Mendoza, this South American republic has it all. Top it off with great food and friendly people, and it’s hard to find a reason not to go to Argentina. With some of the most comfortable busses in the world, skip plane travel and save a fortune. With lounge chairs, wine, whiskey, food, and movies, you won’t want to get off when you reach your destination! Outstanding self-guided hikes are accessible from the tiny Patagonian village of El Chaltén, eliminating the need for a costly tour. And where else can you “splurge” on an indulgent steak dinner and delicious bottle of Malbec for only $15? You really can’t go wrong anywhere in Southeast Asia. The region has miles of unspoiled beaches, delicious cuisine, stunning temples, and some of the lowest prices on the planet. When you’ve finished island-hopping through Thailand, head over to far-lesser-visited Vietnam to soak up the beauty of Halong Bay, explore the incredible caves of Phong Nha National Park, and stroll the romantic lantern-lit streets of Hoi An. Pamper yourself with a spa pedicure for $4, and relax in an air-conditioned hotel room with all the amenities for $16 a night. Foodies can savor an overflowing bowl of rice noodles, sizzling pork, fragrant herbs, and fresh chilies for a mere $1. And make sure to add a cold draft Bia hơi (draft beer), freshly brewed with no preservatives, for just 25 cents. You can even have custom-tailored clothing made at a fraction of what you’d spend in a department store at home. With prices like these, and the ability to tour the entire country on an open bus ticket for around $50, life is good in Vietnam. Few things are as impactful to a traveler as his or her first visit to India. An assault to the senses, it’s a country they say that you will love and hate more than anywhere else you’ve ever been. It’s also one of the cheapest places you will ever go. Travel its extensive and affordable train network to Rishikesh’s serene highlands in the north or Kerala’s exotic backwaters in the south. Check the Taj Mahal off your bucket list in Agra or explore your spiritual side in Varanasi. Whatever you do, just don’t try to see it all in one trip! It’s a huge country, but hiring a private driver (for far less than it would cost elsewhere) can help you tackle it. Sample a tantalizing thali (a plate made up of various dishes of rice, meat, vegetables, and sauces) for around $2. Find your perfect beach hideaway in Goa starting around $5 a night. It’s also a bargain shopper’s paradise; so feel free to load up on handmade clothes, crafts, and collectibles for your friends back home. If you’re looking for big adventures on a small budget, look no further than Morocco. There are plenty of tour operators charging top-dollar for pre-packaged experiences, but a little research and a sense of adventure can get you the same things at drastic discounts. Skip the $300 “Overnight Camel Trek in the Sahara” tour from Marrakesh, and hop on a local bus to the desert where you’ll pay $40 for the same trip. Forget the luxury hotels and stay in a traditional Moroccan riad for as little as $20 a night. Get lost in the maze of medinas, and buy yourself a hand-dyed leather purse for pennies on the dollar. Perhaps the most entertaining pastime of all—people watching—is always free. And when you inevitably find yourself needing a break from Morocco’s mayhem, just $24 and a 90-minute ferry will get you to Spain! Read all about Sabrina's year around the world and follow her ongoing travel adventures at Those Who Wander and on Instagram @sabrina_aziza.